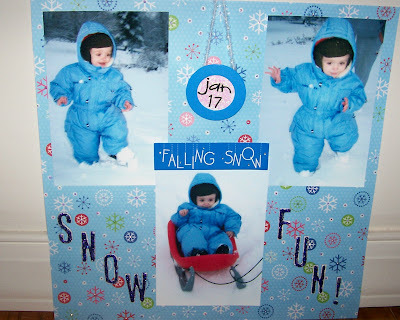 Confessions of a 20-something Scrapbooking Mother: SNOW DAY! It was fun visiting your blog ! Totally cute! How cool to snap photos and scrap the page right away! I have this paper too, and I can't wait to use it! this is a great layout ! You have some great ideas. I am also from Martinsburg and love to crop! Nice to see your work!